← Does God love or hate sinners? 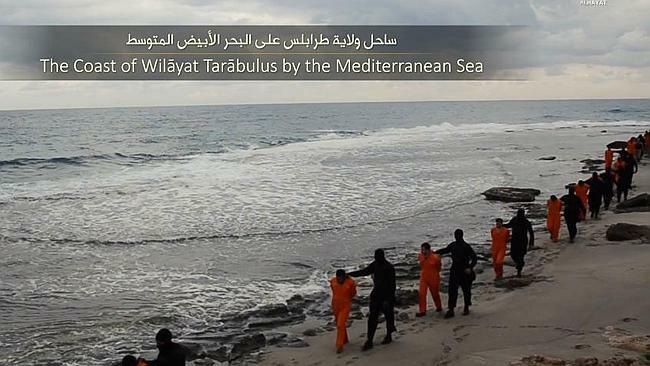 Recently (February 2015) we heard the terrible news of the martyrdom of the 21 young Egyptian Christian men in Libya, murdered at the hands of the Islamic death cult called ISIS, or Islamic State. For the full story JihadWatch or ChristianNews.com.au. The other spread God-given peace and rest. The row in orange, watching paradise open? Or the row in black, with minds evil and broken? This is just another sign of real persecution for Christians ahead. Are you prepared? Download the Arabic edition here. Download the English edition here. This entry was posted in Belief in God, Islam, Trials and temptations and tagged death cult, Egypt, ISIL, ISIS, Islamic State, Libya, martyrdom, persecution, Ramez Atallah, spiritual warfare, trials and tests. Bookmark the permalink.